FRESHLY DECORATED TOP FLOOR FLAT CLOSE TO OCEAN TERMINAL. Well furnished one double bedroom flat in popular area. 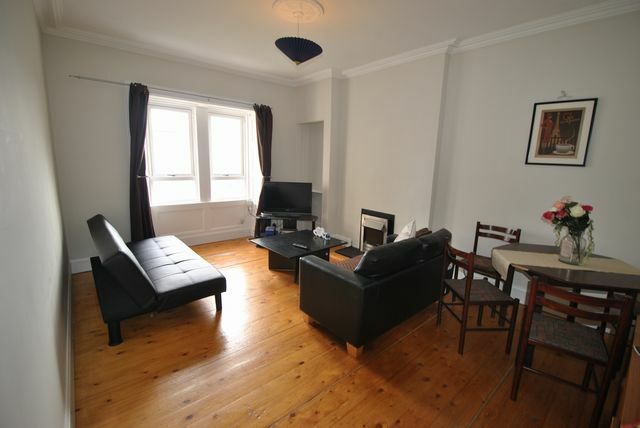 Flat comprises one double bedroom, lounge, kitchen and bathroom. STRIPPED WOODEN FLOORS IN LOUNGE AND CARPETED ELSEWHERE. Electric Heating and on street parking.